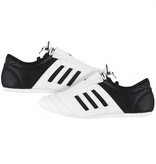 So what would you want if you could have the perfect training shoe? 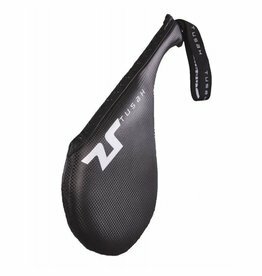 It would have to be super lightweight to not affect you leg speed and not fatigue you. 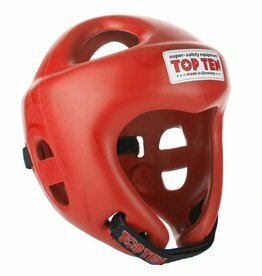 It would not have lace holes and big laces so you keep sparring partner complaints down to a minimum. 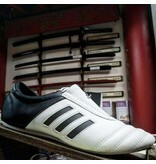 Tough durable, so you don’t have to keep revisiting the local martial arts shop, although you are very welcome. 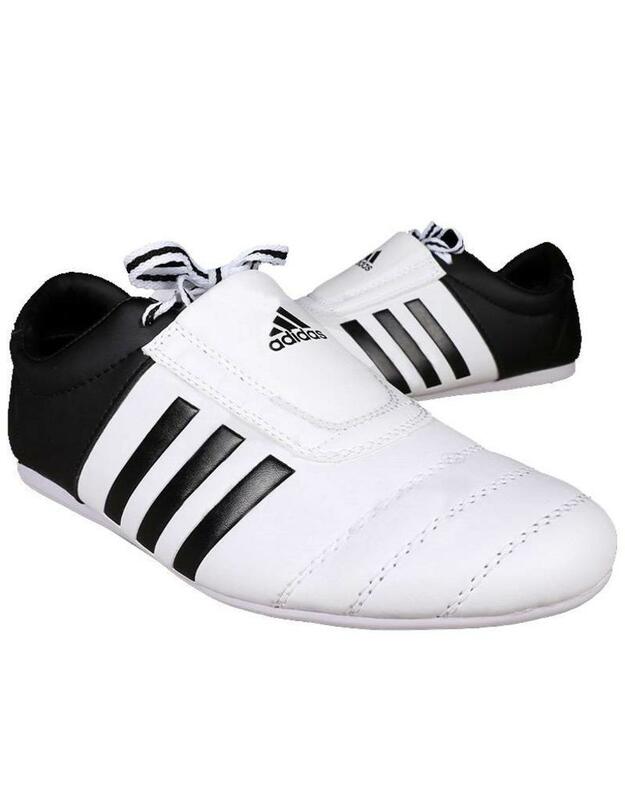 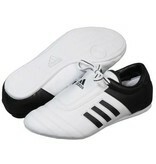 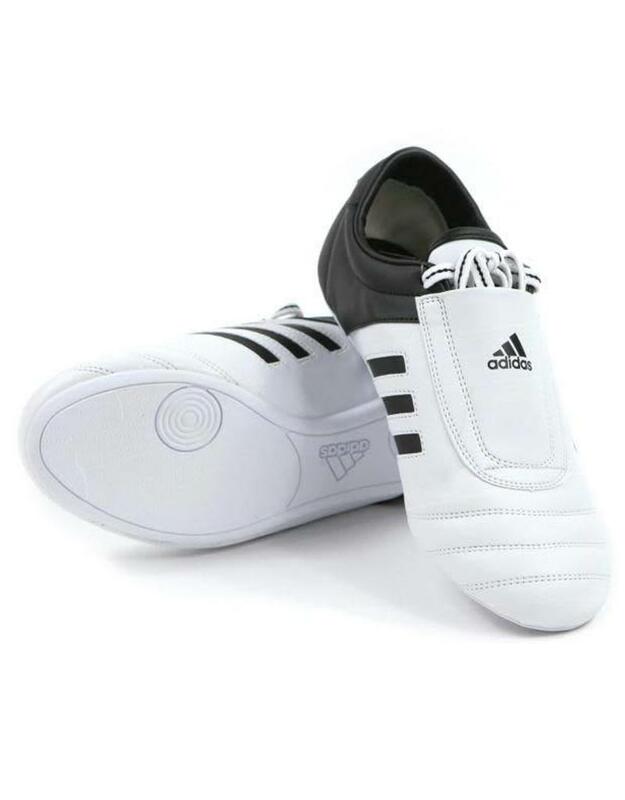 This is what Adidas have tried to achieve with this Adidas Taekwondo Shoes. 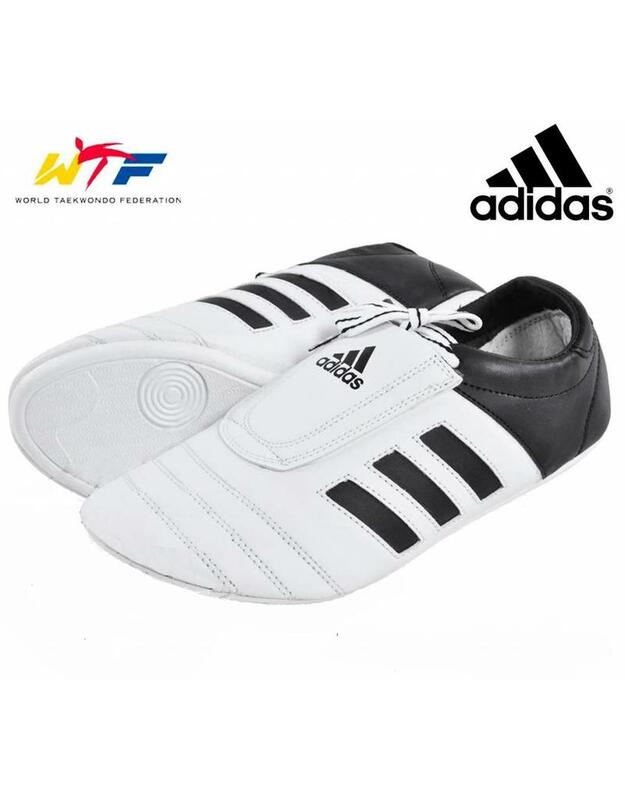 Now it isn’t just a shoe for Taekwondo but all types of martial arts that will practice stand up sparring, including Kickboxing, Karate, Taekwondo, Kung Fu, Tang Soo Do. 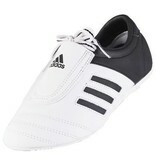 Especially for styles that traditionally train with bare feet. 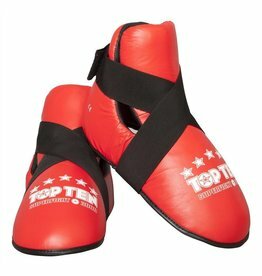 If you are starting out in Martial arts your feet will not be used to training in bare feet and blisters can be a nightmare, to the point that you stop training altogether. 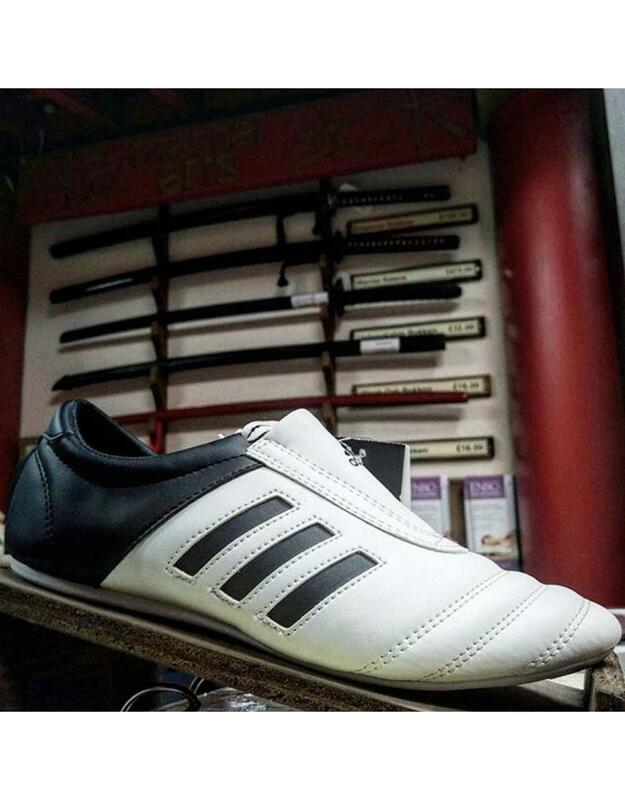 This isn’t good so a pair of shoes like these will help keep you in the Dojo and progressing quickly. 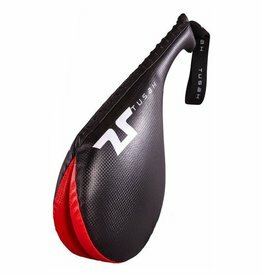 Let’s look into some of the features we just mentioned. 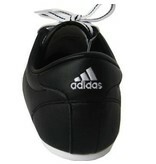 The soles are super thin, not ideal for outdoor training as they will wear out fast, but indoor they are perfect. 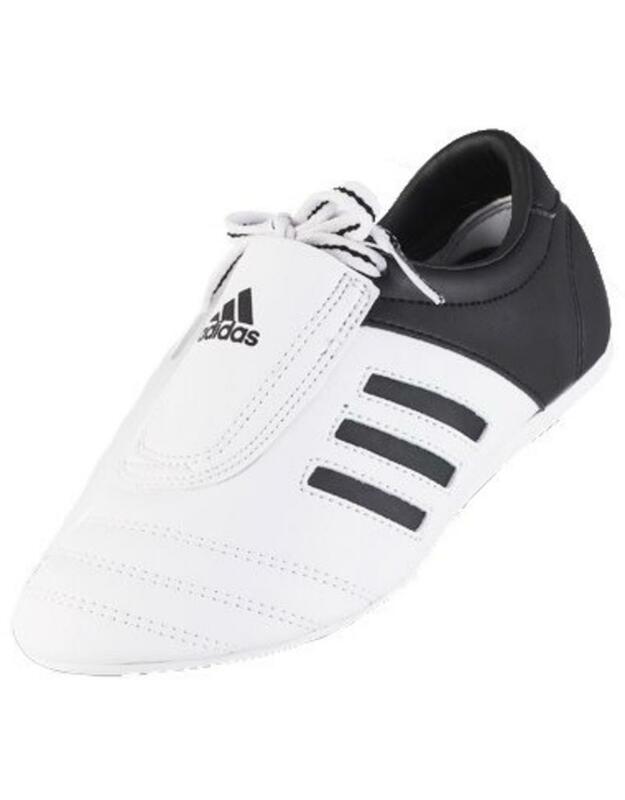 They won’t leave marks on gym floors, they allow you to feel the floor. 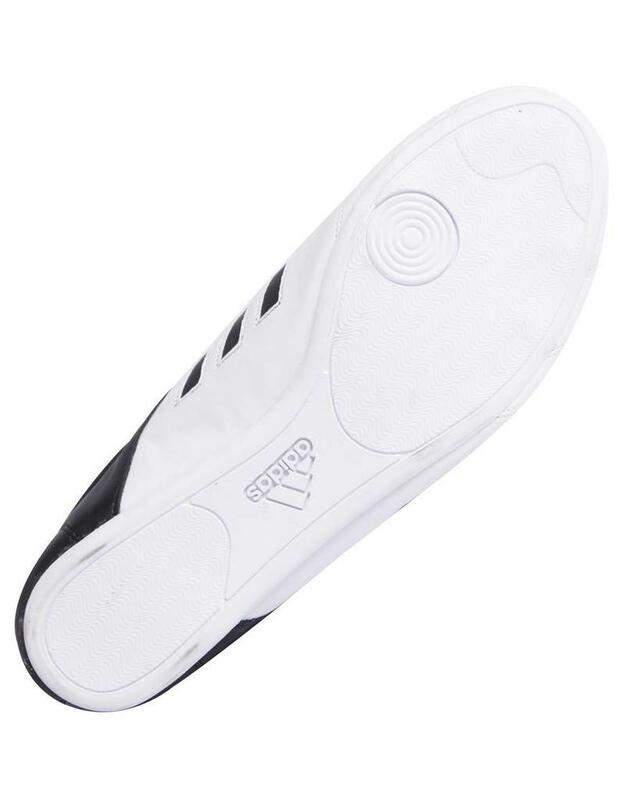 Made from Rubber they are super grippy keeping you upright as much as possible, but not too grippy so you can swivel and turn without leaving your feet behind. 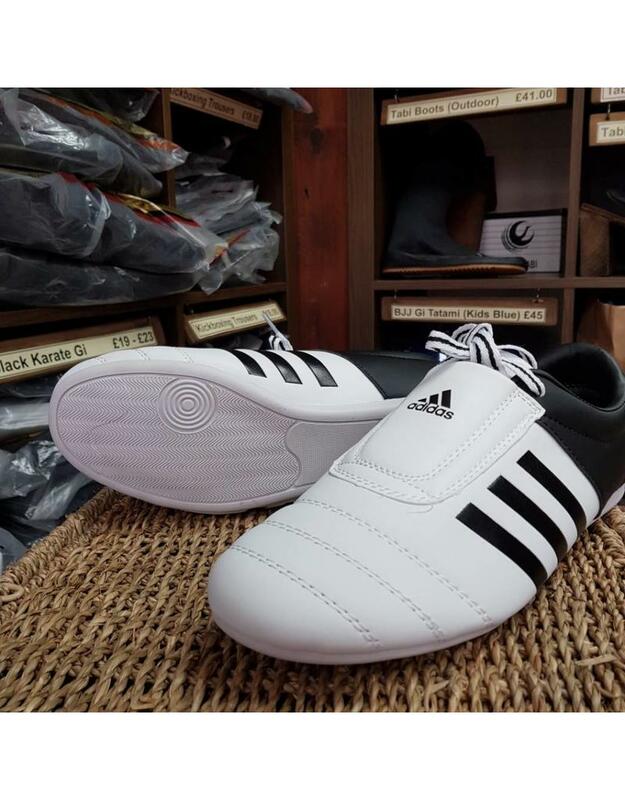 The sole have a pivot point moulded into it, helping your turn for your kicks and twist of the ball of the foot, while maintaining grip. 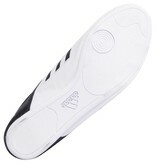 They don’t have conventional laces, they have a system whereby the laces are embedded around the top of the shoe. 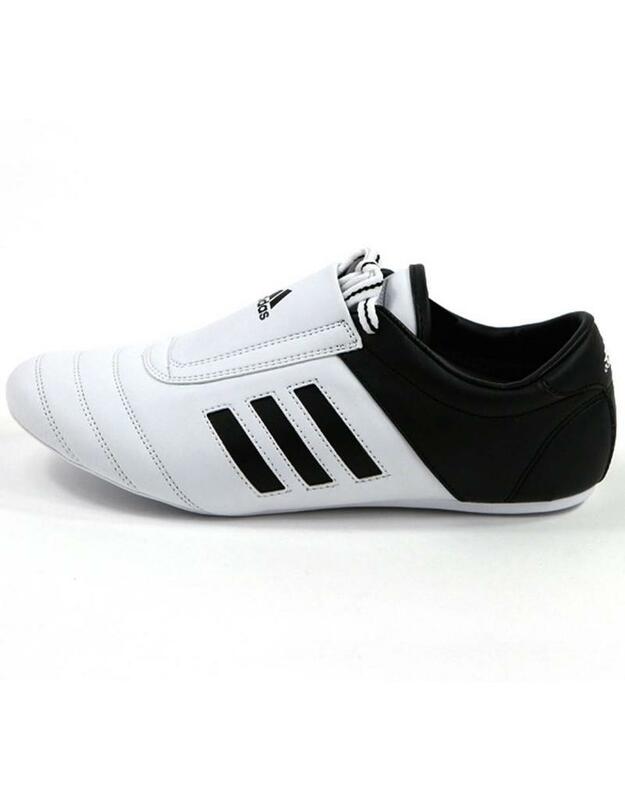 This pulls the shoe tight to your ankle, keeping it really secure, but stops laces being the point of contact when kicking your partner. 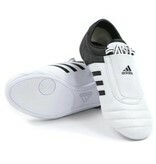 Kicking with laces can hurt you and your partner so this design stops any unnecessary pain form wearing the wrong kit. 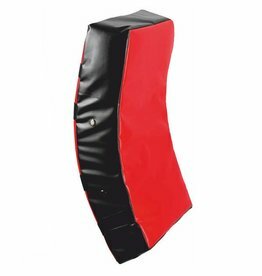 If you’ve ever sparred someone in conventional trainers you’ll know exactly what I mean. 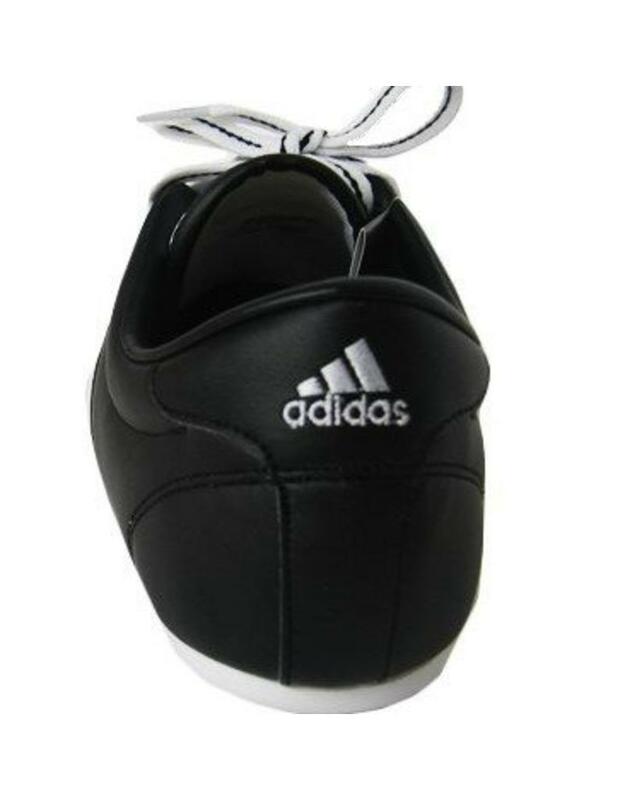 The final feature is the overall weight of the shoe, not only does it not restrict your kicks, but it allows you to train harder for longer, as you aren’t having to lift up a heavy shoe for every kick. 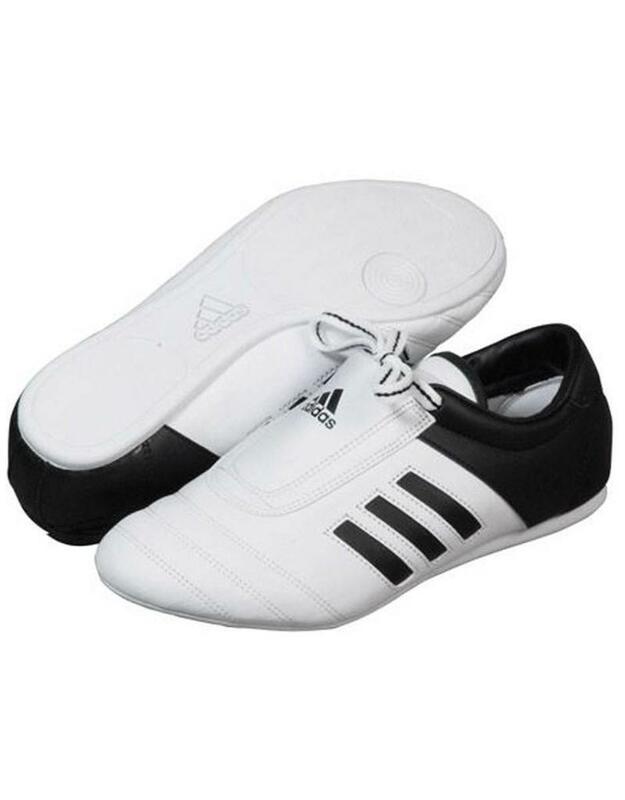 Also the added benefit is that this lack of weight will keep your joints healthier for longer so you can look forward to a longer career in your chosen martial art. 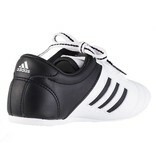 That’s a pretty good endorsement, and these Adidas Adi Kick 1 Martial Arts shoes do live up to it. 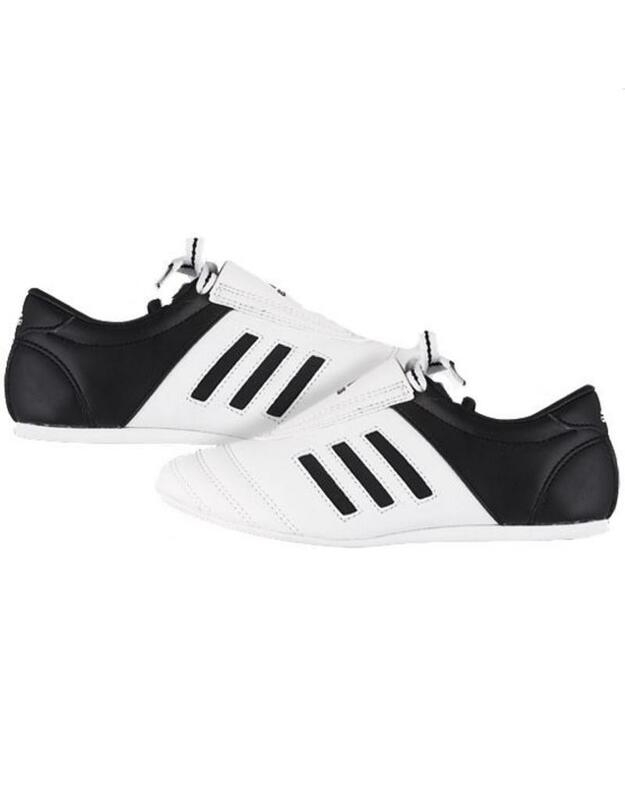 They’re everything I said, plus the price is great. 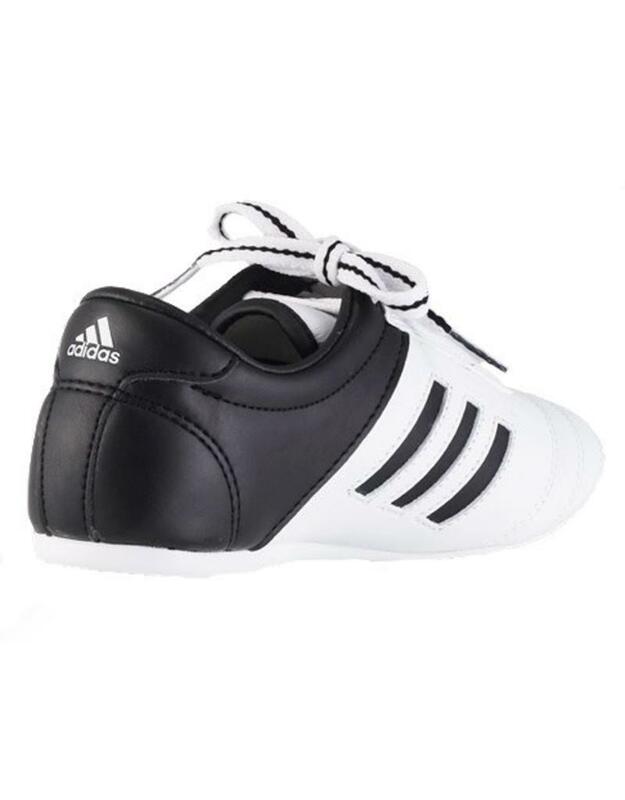 These Adidas Adi Kick 1 Martial Arts Shoes come in UK sizes but are a really tight fit, so most people go one size up than their normal size.